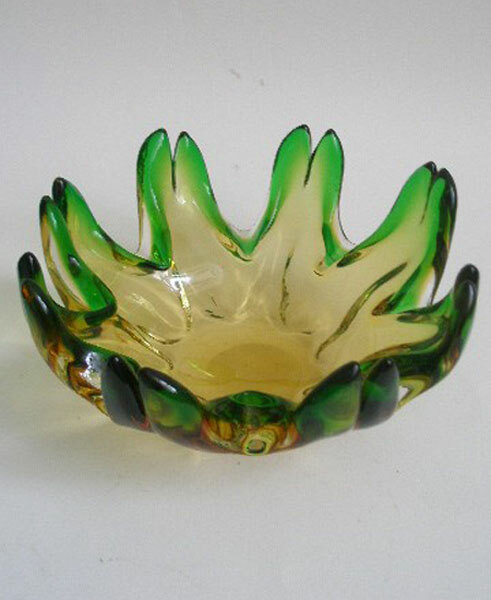 A beautiful Green/yellow Bohemian Art glass dish designed by Josef Hospodka for Chribska. 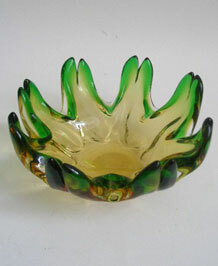 This has crab claw shaped edges and is in a rich green colour turning to a lighter green yellow to the centre. This is a stunning piece of quality glass.